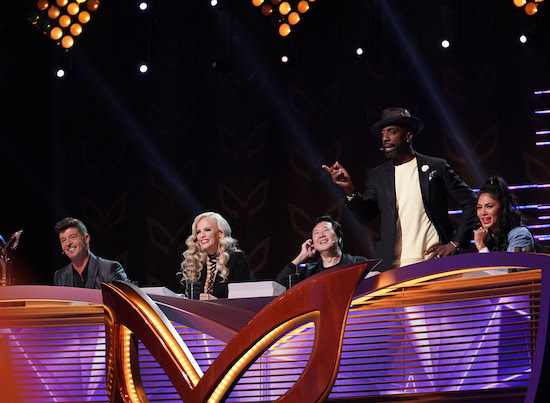 For the first time all season, THE MASKED SINGER had all of its six remaining contestants compete against each other—but the results were less than favorable for the Alien. The Alien had proven to be a bit of a mystery to both viewers and the judges—one of the Hadid sisters was a frequent guess—but when she was unmasked, it was actually La Toya Jackson. Jackson joins NFL player/the Hippo Antonio Brown, comedian/the Pineapple Tommy Chong, the Poodle/Margaret Cho, football legend/the Deer Terry Bradshaw, TV star and author/the Poodle Tori Spelling, and talk show host, and actress/the Raven Ricki Lake as the celebrities unmasked on the series.